TORONTO, February 20, 2018 – If you buy and sell second-hand items, you can put almost $2,000 in your pocket over the course of a year (actual total $1,959), according to Kijiji’s fourth annual Second-Hand Economy Index. That’s more than the average annual pay increase for full-time employees in Canada ($1,729)1 simply through savings from buying second-hand and money earned from selling unwanted items. An estimated $28.5 billion worth of second-hand items changed hands in 2017 and more Canadians than ever – 85 per cent of us – are getting in on the action in one form or another. This includes buying or selling, along with swapping, renting or donating second-hand items. Other disposal practices saw significant declines (swaps were down 30 per cent, and rentals down 32 per cent). 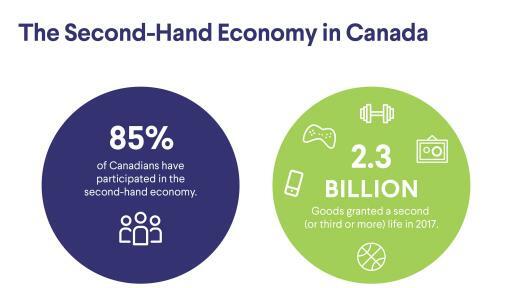 This is the fourth year that Kijiji, Canada’s largest online classifieds site, has taken the pulse of Canadians’ second-hand habits, and the results show that the value of the second-hand economy has remained consistently above $27 billion since 2014. The 2017 total of $28.5 billion in second-hand transactions is equal to 1.3 per cent of Canada’s total economic output, or more than double the size of Canada’s arts, entertainment and recreation sector ($13.3 billion)2. “Canadians love finding good value, and they recognize how the second-hand economy can deliver it on both sides of buy-and-sell transactions. 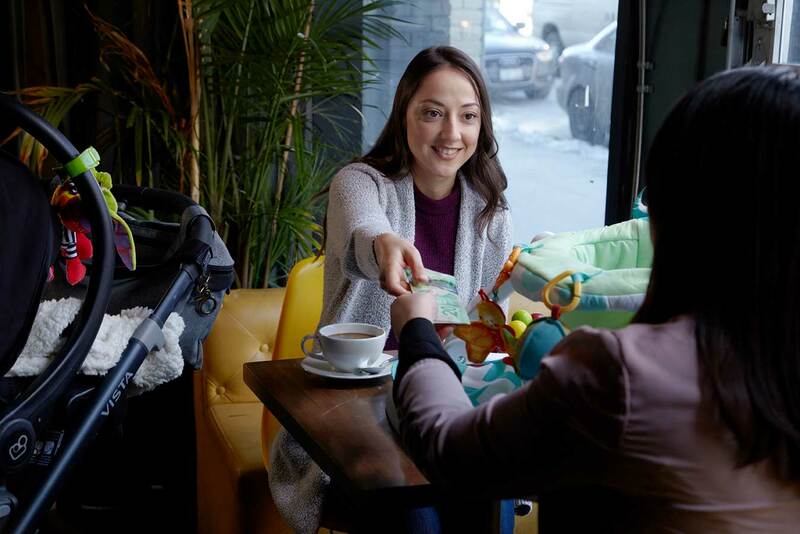 We’re seeing that come to life in the way they shop, as Canadians exchanged more second-hand items than ever in 2017,” said Kijiji General Manager Matthew McKenzie. “The almost $2,000 which Canadians saved and earned on average through the second-hand economy last year is more money than the average full-time worker would get as an annual pay increase. So, you can essentially give yourself a raise by buying and selling second-hand,” McKenzie said. With respect to extra money earned, the average person made $1,134 by finding buyers for stuff they no longer needed. 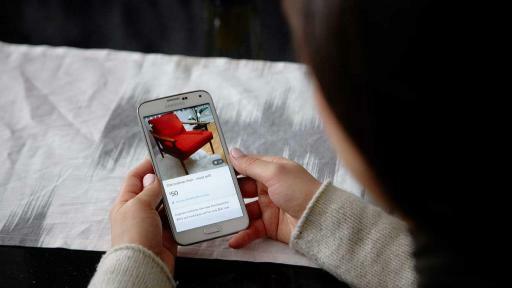 Those who bought second-hand instead of new saved an average of $825 over the course of the year. 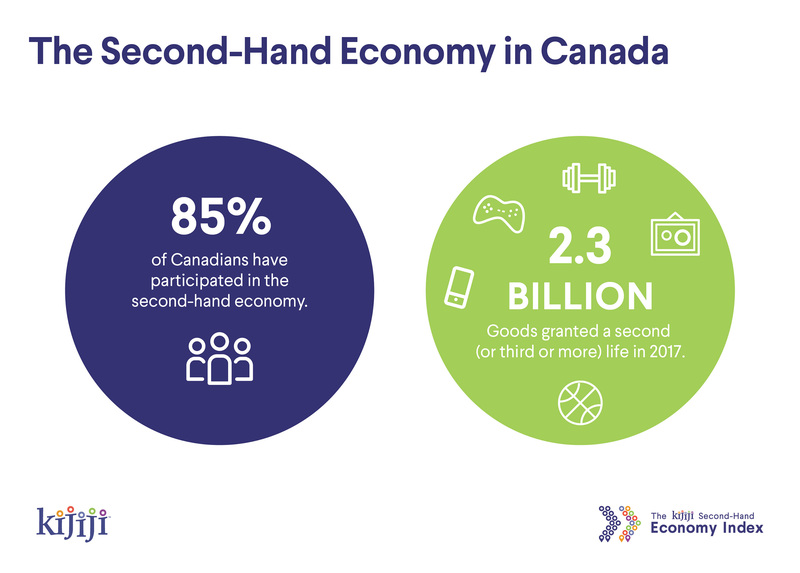 “Based on four years of data, it’s clear that the second-hand economy is an enduring and thriving part of life in Canada. People continue to turn to it to save money, earn money, de-clutter their lives, and pass along useful things that might benefit someone else,” said Marie Connolly, Associate Professor of Economics at University of Montreal in Quebec and co-author of the 2018 Kijiji Second-Hand Economy Index report. 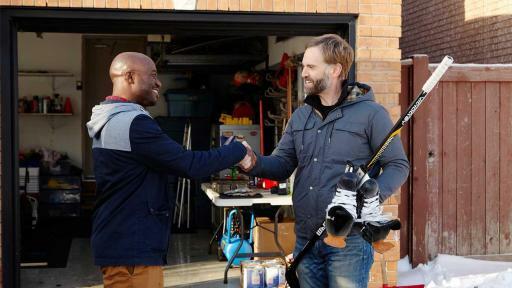 Year after year, Kijiji maintains its place as the #1 commercial channel for buying and selling second-hand, with more users than all other online platforms combined (26.3 per cent of all commercial second-hand transactions overall, compared to less than 3 per cent for all others individually). For first-timers to the second-hand economy, 21 per cent turn to Kijiji first, even before friends and family. WHO TAKES PART IN THE SECOND-HAND ECONOMY AND WHY? Ten per cent of Canadians involved in the second-hand economy are considered “Very Active Participants” (VAPs) – those individuals who acquired or disposed of the highest numbers of items. Last year, VAPs traded more than 150 items per person, or three items per week on average. VAPs earn a total of $1,575 per year on average from second-hand sales. The vast majority of Canadians said even if they couldn’t sell something, they’d give it away for free instead of just throwing it in the garbage. 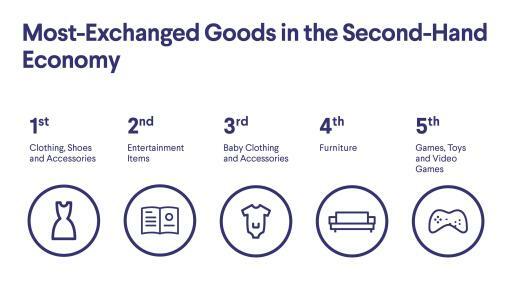 Clothing, shoes and fashion accessories has been the #1 most-exchanged category since Kijiji began compiling the Second-Hand Economy Index four years ago. Furniture made the Top 5 for the first time. Disposals of furniture in general have increased drastically with 3 times as many items of furniture disposed of in 2017 compared to 2016, and more people buying and selling second-hand furniture than ever before. Leisure and craft items were among the Top 5 categories last year, but was ranked #6 this time around. 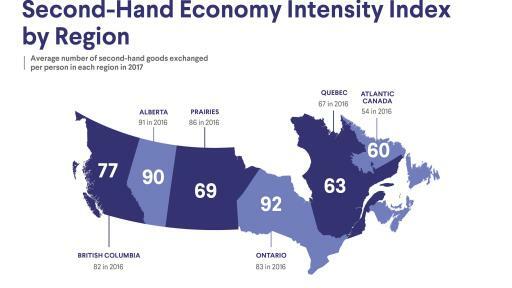 People in Ontario traded the most items per person on average (92), measured as the “Intensity Index,” followed by Alberta (90), which was #1 in 2016, B.C. (77), the Prairies (69), Quebec (63) and Atlantic Canada (60). In terms of overall participation in the second-hand economy (the percentage of the population who bought, sold, traded, rented, swapped or donated at least one item second-hand), Western Canada led the way with 99 per cent of Albertans and British Columbians participating last year (the national participation rate is 85 per cent). 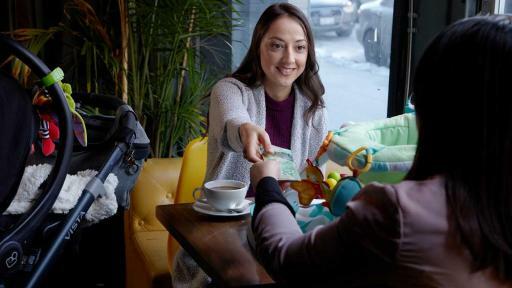 Quebecers were Canada’s biggest second-hand economy savers, with a total average saving for the year of $1,148, based on the last item purchased. Atlantic Canadians were the next-biggest savers ($1,110), followed by Alberta ($953), Prairies at $864 and Ontario ($761). Those who earned the most last year were Prairies residents, with an average of $756 based on total population, including those who did not sell any second-hand items last year. Atlantic Canada was second at $719, followed by Alberta ($659) and B.C. right behind ($656), with Ontario ($502) and Quebec bringing up the rear ($436). 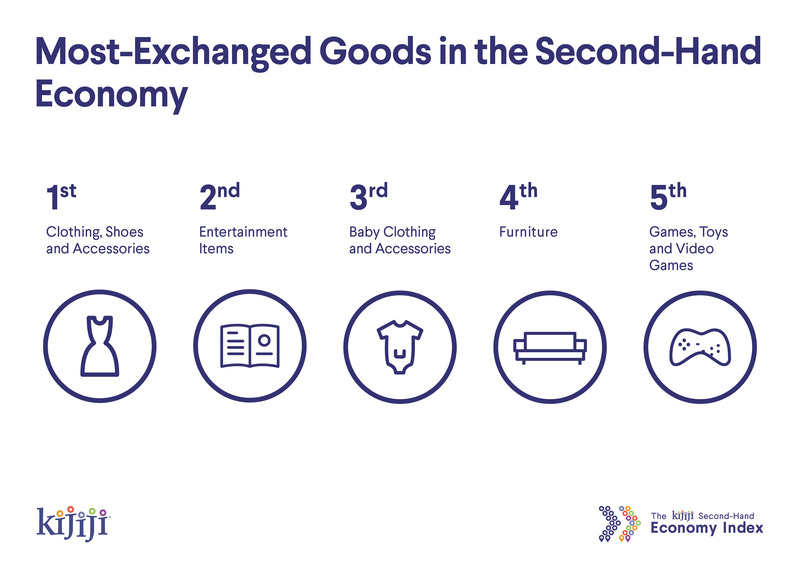 The Second-Hand Economy Index finds people who used Kijiji to sell items last year earned an average of $1,528 per person, $394 more than average seller’s earnings in the second-hand economy overall ($1,134). Kijiji recommends sellers list their items with thorough titles, including details about the product, its brand name, size and price. Include measurements of the item, its history and condition (new vs used). As with most things online, images are everything. Don’t use stock images or pictures copied from a website – buyers want to see the actual item. 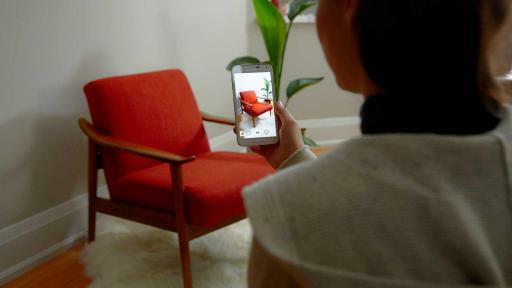 Think about good lighting, close-up views, multiple angles and clarity of images. 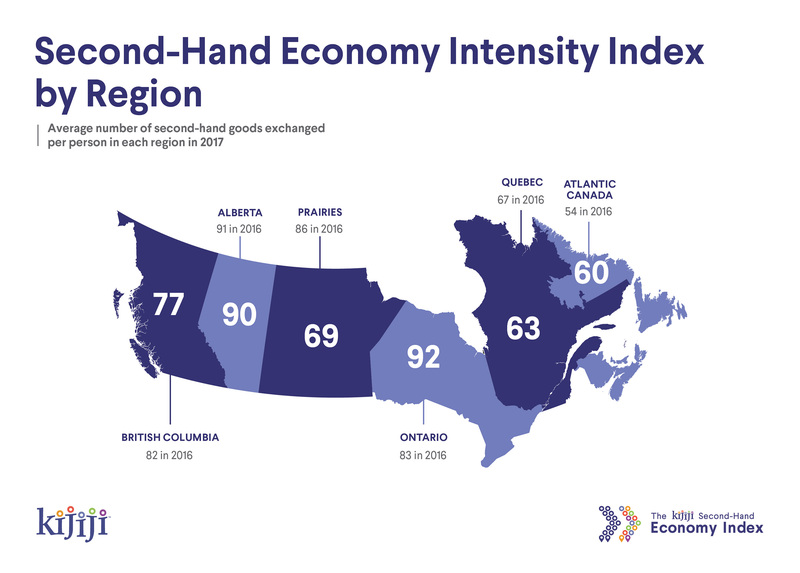 To download The Kijiji Second-Hand Economy Index Report, click here. The survey was conducted online for the Observatoire de la consommation responsable (OCR) of the Université de Québec à Montréal (UQAM) in partnership with MBA Recherche between September 18 to October 12, 2017. Primary data were collected using a sample of 5,625 respondents aged 18 and older representative of the Canadian population. Respondents were selected from a pan-Canadian Web panel according to pre-specified retention criteria such as gender, age and place of residence. Given that responses were obtained from a panel, computation of the margin of error does not apply. The results of the survey revealed Canadians’ behaviours and habits related to second-hand practices and quantification of the actual intensity of such practices across 22 product categories. The conclusions reached in the economic considera­tions section of this report were based on the survey results regarding participation in and the economic value of second-hand economy transactions. The aggregation of these results to produce an estimate of the size of the second-hand economy in Canada is based on the assumption that the economic value of second-hand transactions is representative of goods not only bought and sold, but also acquired or disposed of through non-monetary transactions. The objective of this approach was to provide important insights into the second-hand economy and shed light on the debate over the interaction between the second-hand and the new marketplace. Kijiji, which means “village” in Swahili, is the number one classifieds website in Canada, connecting over 16 million buyers and sellers each month. 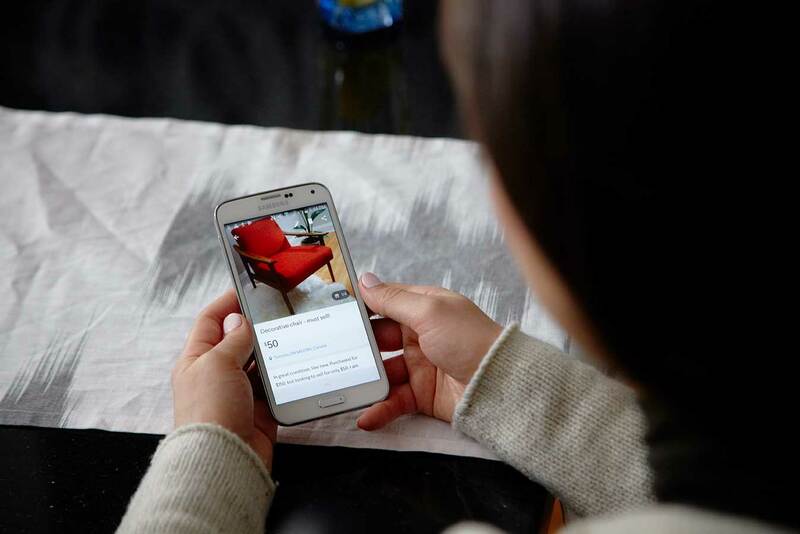 Kijiji offers Canadians an easy way to buy and sell and find apartments, jobs and services on a local level. At any given time, there are more than 6 million listings on the network and two new ads are posted on Kijiji every second of every day. 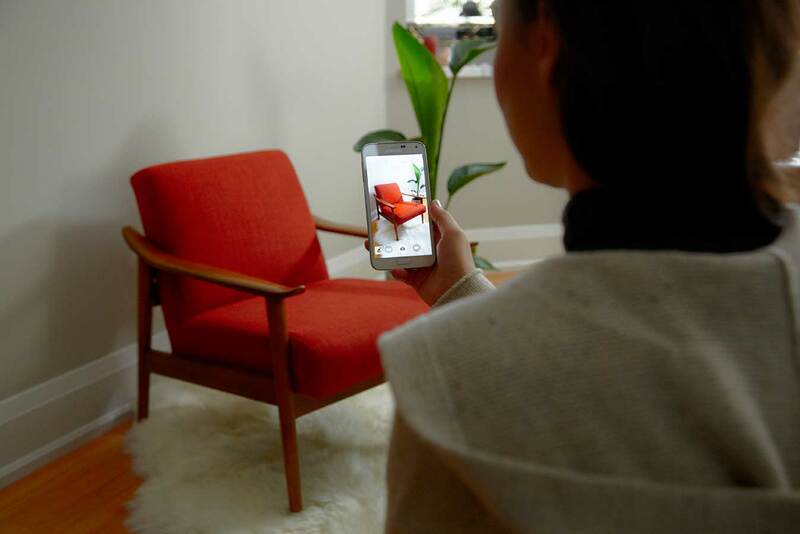 Kijiji makes it easy for Canadians to find exactly what they’re looking for in their own community.